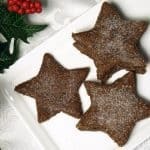 Soft and flaky pasty surrounds a flavorful jam in Joulutorttu, festive Finnish Christmas Star Cookies. If you’re living in Finland, you’re pretty lucky come Christmas-time. Finnish people say that Santa Claus (Joulupukki) actually lives in the northern part of Finland in an area called Lapland. Christmas Eve is the highlight of Christmas celebrations in Finland, and it is a busy day! Families bring home their Christmas tree and decorate it. They often to to a Christmas sauna to relax before all the festivities with family and friends start that evening. Snowy cemeteries sparkle with lights on Christmas Eve as everyone remembers their loved ones by leaving lit candles or lanterns near the graves. Christmas dinner often involves root vegetables, smoked salmon and herring dishes. After dinner, there is often a visit from Joulupukki, bringing presents for the children. 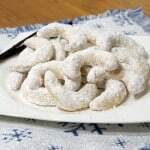 With all the festivities on Christmas Eve, Christmas day is typically a low-key day of relaxing with family and eating leftovers from the Christmas Eve dinner and desserts, like these traditional Finnish cookies. 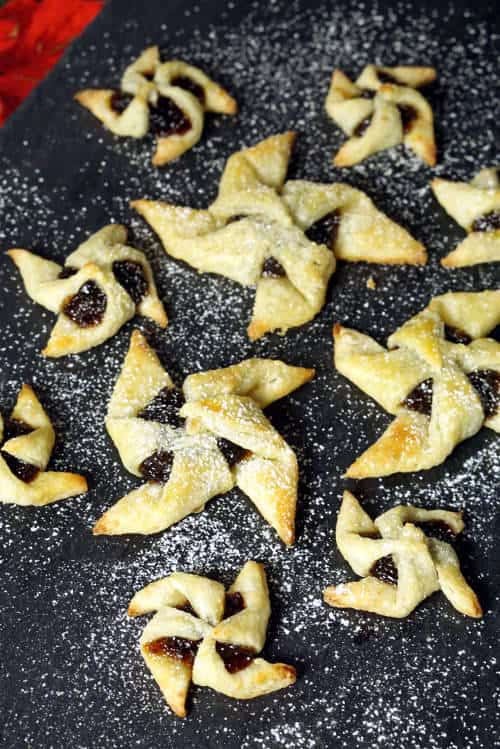 Joulutorttu (pronounced YOL-dor-TU), are star or windmill-shaped cookies that boast the crisp crunch of a flaky pastry and the smooth sweetness of a dollop of jam. Traditionally these Christmas tarts are made with a ricotta pastry and filled with a prune jam. The ricotta in the pastry gives them a nice lightness, without being too rich or heavy. And, while prune jam might not sound all that appetizing, it actually adds a deep sweetness to the cookie that is the perfect contrast to the flaky pastry. 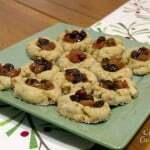 Each of these Joulutorttu cookies gets a lot of special love an attention. 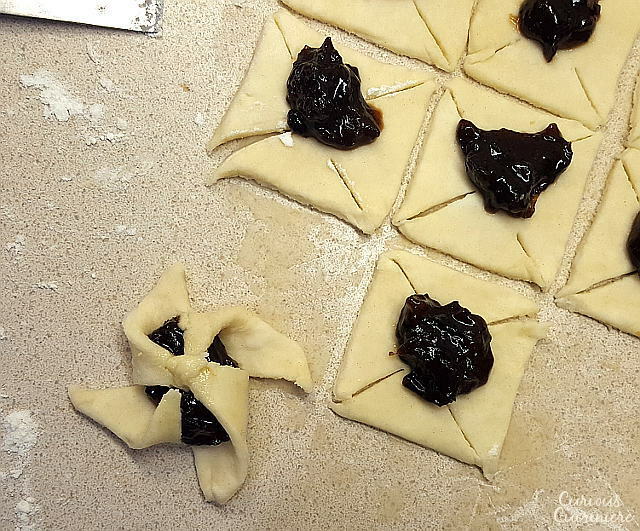 To shape the pinwheels, the dough is first rolled thin and cut into squares. You can cut your squares any size you would like, but, we found that 2 inch squares (while they made super cute, little cookies) were a bit of a pain to shape into pinwheels. That’s why we recommend cutting the cookies into 3 inch squares in our recipe. As for how to shape the cookies, I think a picture can say more than words here. As you can see below, each square has four cuts made in it, each going 1/2-2/3 of the way to the center of the square. The jam goes in the center, and then the sides are folded in. To fold the sides, take every other cut corner and fold it in to the center, over the jam. We used a little brushing of egg wash to moisten the dough so that it stuck firmly to itself at the center. The pastry will puff in the oven, so you want those edges secure over the jam! I mean, we do like prunes. But in a cookie? It just sounded… odd. However, for tradition’s sake, we got some prunes and gave the prune jam a try. And, guess what? 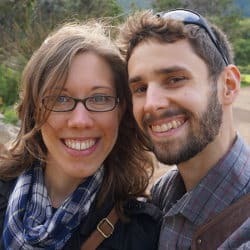 It’s not awful. When you add a little sugar and cook the prunes down to a nice jammy consistency, you’re left with a deeply sweet jam, that really doesn’t even taste much like prunes at all. And, it’s the perfect complement to the light and flaky pastry. If you really can’t bear the thought of prune jam, raspberry or blueberry would be a super tasty option as well. This recipe does come together pretty quickly, with just one short resting period. 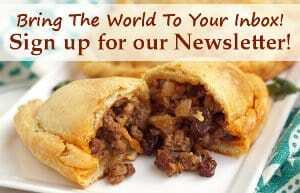 But, if you want to make things even easier, you could just use frozen puff pastry instead of making your own dough. 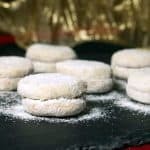 The cookies will be flakier and a bit richer with the puff pastry. But, who ever said that was a bad thing? For best results, refrigerate this dough for 2-3 hours before shaping and baking the cookies. In a large bowl beat together butter and ricotta cheese with an electric hand mixer. Add the flour, and mix until a soft dough comes together. Divide the dough in half. Shape each half into a ball and wrap each ball in plastic wrap. Refrigerate for 2-3 hours (up to overnight), until firm. Lightly flour your countertop and roll out one section of dough to a rectangle (roughly 12 x 9 inches) that is about an 1/8 inch thick. In each square, make four cuts, one from each corner, each going 1/2 - 2/3 of the way to the center of the square. Spoon 1 teaspoon of jam in the center of each square. Fold every other corner of each square over the jam. Use the beaten egg wash to moisten the corners slightly and lightly press to seal the corners together over top of the jam. 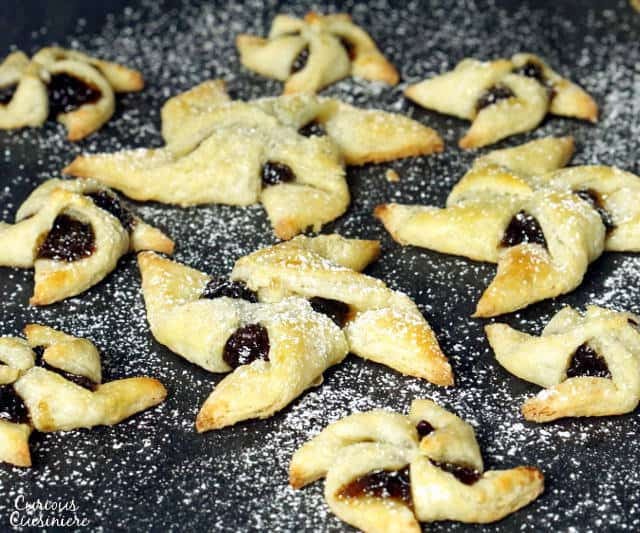 Transfer your pinwheel cookie to a parchment lined baking sheet, placing the cookies 1 inch apart. Lightly brush the tops of the cookies with the beaten egg. Bake the cookies 10-12 minutes, until golden. 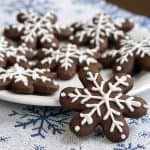 Remove the cookies from the oven and let them cool on the baking sheet for 5 minutes, before transferring them to a wire rack to cool completely. 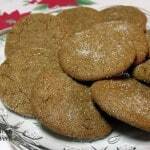 Once the cookies are cool, dust them lightly with powdered sugar. 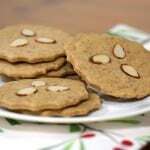 Store the cookies in an air-tight container on the counter for 3-4 days. Let the jam cool completely before using. Place the prunes and sugar in a small saucepan. Add water to cover the prunes and bring the mixture to a simmer over medium heat. Remove the pan from the heat and let the jam cool before using. 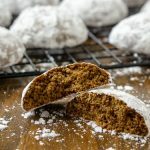 I made these last night, and they are fantastic! The toughest part was making sure the cookies stayed sealed during baking. I would take out the cookies out after 2 min to adjust the ones that came undone. Hi Leslie, We’re so glad you’re enjoying the cookies! Yes, keeping them sealed is a bit tricky. Did you use the egg wash to moisten the dough as you pressed it together? You do have to give them a good firm pinch to keep them together.